Coin Mixers | What Are Coin Mixers and How Do They Work? What is a Coin Mixer? If you are familiar with the world of cryptocurrencies, then the term, “coin mixer” is something that you might have come across. A coin mixer is essentially a means of making cryptocurrency transactions more anonymous and harder to track. People who wish to have higher levels of privacy and anonymity with their Bitcoin and altcoin transactions frequently use coin mixers to accomplish this. Why Are Coin Mixers Needed? You may be asking yourself why coin mixers are needed for cryptocurrencies, which are designed to have high levels of cryptographic qualities. The answer is because many cryptocurrencies have public, open sourced ledgers which record all transactions on a blockchain. This means that if you make a transaction with Bitcoin, for example, then this transaction will be recorded for all the world to see. The actual transaction will not have your name attached to it, but rather, a string of numbers and letters associated with your account. Also, it will not reveal the identity of the party whom you sent your Bitcoin to. The accounts involved in the transaction would look something like this “7Hkiji79767nnsoijs79rk55kn4mm.” However, for many people, this is not enough anonymity. The reason is because many people fear that due to the ledger being public, that eventually, their transactions will be traced back to them by hackers, or by well-funded companies who are looking for key financial information. This is unacceptable for people who want the highest possible levels of privacy. So, many people turn to coin mixers to achieve these higher levels of privacy. Who Might Need to Use Coin Mixers? There are a number of people/organizations who may be more inclined to use coin mixers. For example, companies who are making large transactions in cryptocurrencies may not want these transactions traced because they want to keep their business dealings secret. For such companies, if their competitors find out what they are buying, and how much of it they are buying, this could be very problematic. Wealthy people and high net worth individuals may also want their Bitcoin and altcoin transactions kept totally secret so that they do not become a target for hackers. If a hacker sees that “Bob S.” recently made a transaction for 10 Bitcoins (roughly $118,00), then he or she may choose to try to hack “Bob S.” because they now know that he or she is probably a high net worth individual with a good amount of Bitcoin stored in their wallet. Idealists are another group of people who may value increased anonymity for cryptocurrency transactions. These are people who believe that governments or other institutions should not be able to track every single transaction that people make. Coin mixers can be very appealing to people who hold this philosophy. Criminals, of course, are another group of people who value full anonymity when it comes to cryptocurrency transactions. This is actually a concern within the cryptocurrency world, and it is something that could lead to heavier regulation of Bitcoin and other cryptocurrencies. How Do Coin Mixers Work? Coin mixers work by essentially taking your cryptocurrency, mixing it with a giant pile of other cryptocurrency, and then sending you smaller units of cryptocurrency to an address of your choosing, with total the amount that you put in minus 1-3%. The 1-3 % is generally taken as a profit by the coin mixing company. This is how they make money. If you would like to use a coin mixer, then you have to send the company cryptocurrencies. Otherwise, they will have nothing to mix. However, because you are sending some of your money to the service to be mixed, you need to make sure that you send it to a reputable coin mixing company. Otherwise you could potentially be robbed of your money. There are a number of companies who offer coin mixing services. 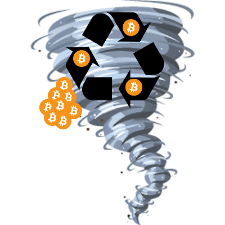 These companies include Coinmixer.se, Helix, and Bitcoin Blender. If you are interested in having your cryptocurrencies mixed in order to increase your privacy, then you may want to consider one of these options. For the moment, coin mixing is perfectly legal in the United States. However, the legality of coin mixing varies around the world, as does the legality of cryptocurrencies themselves. Coin mixing is somewhat similar to the criminal practice of money laundering. However, just because a person participates in coin mixing does not mean that he or she is a criminal. It just means that he or she would like to achieve a higher level of anonymity with his or her cryptocurrency transactions. Coin mixing is similar hiding your IP address by using the Tor Browser. The Tor Browser is a network of connected computers which are used to bounce communications signals all around the world. So, if you are using the Tor Browser in Philadelphia, your IP address signal may appear to be coming from Geneva, Switzerland. Coin mixing is very similar because you may enter five Bitcoins from your wallet, but you may ultimately end up with 10 half Bitcoins from many different parts of the world. This makes your transactions extremely difficult to track. The more sources there are that go into your end product, the more difficult it is to track. Coin mixers are used by different people for different reasons, and using one comes with its advantages and disadvantages. Below we’ll be going over all of the pros and cons in full detail. One of the top pros of coin mixers is that they help to prevent people from becoming targets for hackers. If you are someone who frequently puts transactions with large sums of money on cryptocurrency blockchains, then coin mixers could go a long way towards protecting your security and making you more anonymous. Another pro of coin mixers is that they enforce one of the central concepts of cryptocurrencies, which is privacy. The more private that cryptocurrencies are, the more that they can be used for pure peer to peer private transactions. One final benefit of coin mixers is that they can make it even harder for governments to meddle with cryptocurrencies. Creating currencies that are beyond government meddling is another concept that many people believe is central to the driving energy behind the cryptocurrency phenomenon. So, making them even more tamper-proof is seen as a pro by many people. The biggest con of coin mixer is that they potentially make it easier for criminals to launder their money and to hide their activities. This can make it harder for law enforcement agencies to track them down and catch them. However, due to the rising use of cryptocurrencies, it is likely that law enforcement agencies will figure out ways to get better at tracking down criminals who use cryptocurrencies for transactions. Trust is still a concern for coin mixers, and is thus a con. Coin mixing in general is hard for many to trust because it is so new. When you put this together with the fact that one of the most popular coin mixers, BitMixer.io recently closed without warning, being able to trust a coin mixer can be quite difficult. The last thing that you want is to attempt to mix a large number of Bitcoin or Ethereum and to have the mixing company close down or lose your money while your transaction is in process. Like many aspects of cryptocurrencies, and the cryptocurrency industry, coin mixing is filled with both very interesting technology, and also, controversy. There are some who believe that coin mixing is a great invention and helps to make cryptocurrency transactions more secure, and there are others who believe that it is just glorified money laundering, which will undoubtedly be taken advantage of by criminals. However, regardless of the fact that criminals may be able to take advantage of coin mixing, both cryptocurrencies, and mixing them are morally neutral. Ultimately, it is the actions of the user that determines whether or not anything immoral takes place. As long as coin mixing remains legal in many places around the world, then it is likely to be highly used. More and more advanced technologies will also likely come out to mix coins more effectively. It is also possible that certain cryptocurrencies could build in features which allow users to mix coins without having to use an outside service. If governments ban coin mixing, then people will have to try to find other ways to make their transactions completely anonymous. 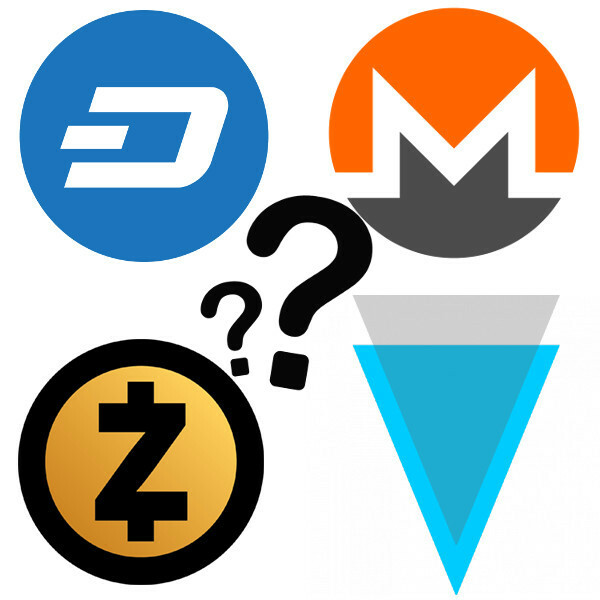 The cryptocurrencies Zcash, and Monero are steadily building reputations as being some of the most genuinely anonymous and private cryptocurrencies on the market. So, people who do not or cannot participate in coin mixing, but who would still like to obtain optimum levels of privacy could start using these two cryptocurrencies more heavily. 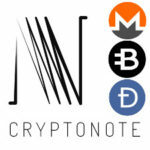 The privacy features of these two altcoins are helping to fuel their growth. In fact, both Zcash and Monero are now in the top 20 most popular cryptocurrencies according to market cap. Monero is actually the 9th most popular overall, just behind Bitcoin Gold, with a total market cap of $3,807,957,268. So, essentially, even if the blockchains of Bitcoin, Ethereum, Litecoin, and other cryptocurrencies become easier to trace, there will still be ways for people to conceal their identities when using these currencies as long as coin mixing is legal. If at some point coin mixing does become illegal, then it could send the price of the top privacy coins such as Zcash and Monero even higher.